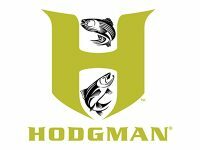 At Middle Mountain Sporting Goods we have a large selection of Frogg Togg, Hodgman, and Proline waders. We know how important it is to have high quality waders that will ensure you stay warm and dry while out hunting or fishing. We know that having the right waders are a huge part of your angling gear. Whether you are fishing freshwater, saltwater, tournament, conventional fishing, jigging, or fly fishing we guarantee we have the right wader for you. Stop by our store in Elkins, West Virginia today to see our full selection and speak to our knowledgeable staff. We carry an assortment of Frogg Togg Waders. 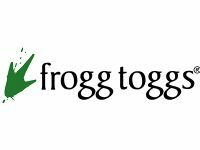 Frogg Togg is known for breathable and waterproof gear at affordable prices. This makes them perfect for fishing and hunting. The Frogg Togg Anura waders are made from nylon that is breathable, durable, and soft. When you are spending a long day on the lake or river fishing, these will keep you comfortable and dry. The Frogg Togg Canyon waders are both durable and lightweight. Not matter what outdoor adventure you are going on these waders will keep you dry and comfortable. If you are new to fishing and hunting and don’t want to spend a lot of money going out for the first time, these affordable waders are for you. The Frogg Togg Hellbender waders are breathable and made with 1200g Thinsulate, so they are the best when it comes to needing to stay dry and warm while fishing or hunting. The Frogg Togg Pilot waders are made with nylon that is comfortable, durable, lightweight, and waterproof. These are just what any angler needs while fishing on the river. We carry an assortment of Hodgman stocking foot waders. These pair nicely with our wading and waterproof boots. The Hodgman Guidelite Breathable Stocking Foot Chest Waders are extremely waterproof and durable. They offer a puncture resistant coating. If you are looking for an exceptionally durable and tough wader at an affordable price, these waders are for you. The Hodgman Lakestream Lite Breathable Stocking Foot Waders are waterproof and breathable. These also offer a puncture resistant coating. If you are looking for long lasting comfort in your waders, these are for you. The Hodgman Pipestone Breathable Waders are water resistant and breathable. With their ventilated material and waist belts they are extremely comfortable. They even have a built in fold out table for ultimate convenience. If you are looking for great, comfortable, and durable waders these are for you. The Hodgman Wadelite Breathable Waders are top sellers because of their quality, features, and affordable prices. They have convenient chest pockets for more storage and removeable suspenders. They are highly water proof and breathable. If you are looking for tough, but comfortable waders, these are for you. 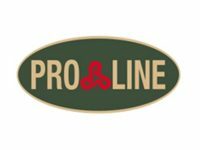 At Middle Mountain Sporting Goods we also carry a large assortment of Proline Waders. They are the number one selling waders because of their highly durable construction. They are extremely breathable and comfortable. They are factory tested one hundred percent waterproof. They are perfect for every hunter and angler who are looking to stay warm, dry and comfortable. Proline Waders are made with thinsulate ensuring that anglers can fish not only in the summer, but in the winter as well. These are also great for hunters to use any season and on any terrain.